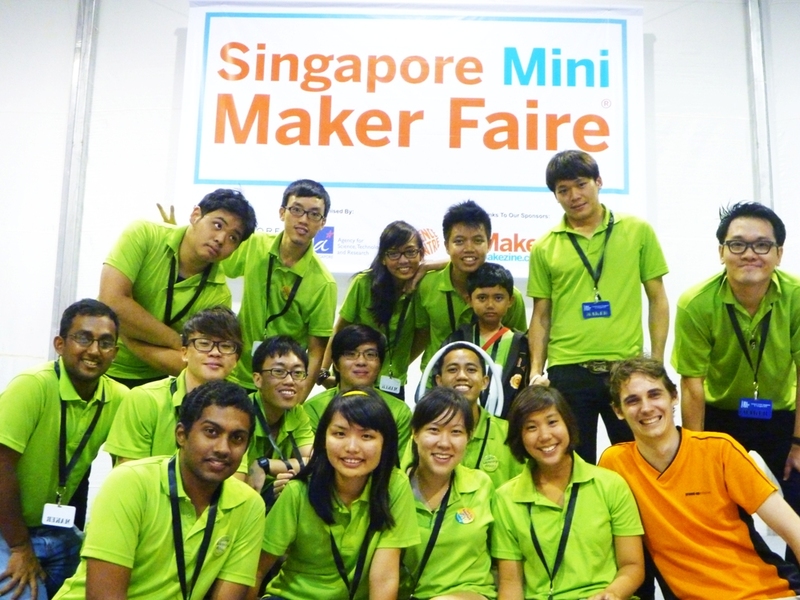 What does the kampung spirit of the Singapore Mini Maker Faire reminds you of? If you had come for the inaugural Singapore Mini Maker Faire last year, it is unlikely that you would miss the biggest curated area by the Sustainable Living Lab (SL2). Artistically decorated with the “kampung” feel, the booths of the SL2 showcased many treasures to our first Singapore Mini Maker Faire, bringing awesome surprises for many of us. The cardboard fire engine transformer stole the limelight, transforming itself into a popular photo spot. There were lots of hands-on booths for visitors to try their hands on, eg. painting on an elephant figurine, weight-lifting using DIY weights, urban farming methods and of course, the ever popular flying water rocket. There were simply so much things you can see, touch and experience. Since their success last year, SL2 had been busy with several of their own events. We are glad that they are still able to take part at the upcoming second Singapore Mini Maker Faire, and are excited to learn what they have in store for us, and what learning points they would like to share with new makers. Read on to find out what we found out through an interview with Veera and Ibnur, founders of the Sustainable Living Lab (SL2)! When asked about their experience curating their own space, Veera and Ibnur shared that the Singapore Mini Maker Faire was an opportunity for them to bring their existing maker community together and create a common shared experience. It started with bouncing of ideas almost 2 months before the Faire, settling on the “Kampung Innovation” theme which celebrates the inventiveness and resourcefulness of the Kampung, and weeks of intensive sessions of development and iteration of the prototypes to bring them to their final form. What have SL2 been doing? For those who followed us since last year, you probably would have also followed SL2 and their activities during the past year. They shared that they had been inspired by the large turnout at the last Faire and the interest in their activities, and have started conducting “Woodworking and Innovation” classes for families, students and adults. They have also started developing their product lines with the cardboard furniture, Jigusuo rapid assembly furniture (exciting concept and interesting design!) and cardboard building blocks. Along the way, they also organised a bunch of makethons – their version of hackathons in which physical prototypes are a must! If you are curious about SL2, find out more at their website here. This year, SL2 shared that they hope to have a sharper focus on sustainability and demonstrate various ways in which we can all be more gentle with the Earth. They said that we can expect more earthworks, home urban farming systems, traditional crafts and quirky upcycled products. There might even be some interesting smart furniture and humanitarian devices on display! Veera and Ibnur’s suggestion for newcomers at this year’s Mini Maker Faire would be for them to spend time on creating a positive and memorable experience for those visiting their booths. Simple, but it is probably one of the most important things makers should take heed when planning for your booth at the upcoming Singapore Mini Maker Faire. Are you ready? Stay tuned for more news coming your way and block your calendar for 27 & 28 Jul 2013!